“According to recent rankings from both Forbes 1 and US News 2, Canada is the best country in the G20 for establishing business operations, and the Economist Intelligence Unit asserts that Canada is expected to be the second-best country in the G7 for doing business over the next five-year period, from 2017 to 2021 3. Canada also holds the distinction of being the easiest location in the G20 to start a business, with the process requiring only two procedures and less than two days, according to the World Bank 4. For investors, Canada’s high global rankings demonstrate an environment that nurtures business growth. The province of Québec is characterized by its vast territory covering over 1,600,000 km2 and its unique personality stemming from its majority French-speaking population and rich cultural mix. It is the only Canadian province that uses French as its first language. 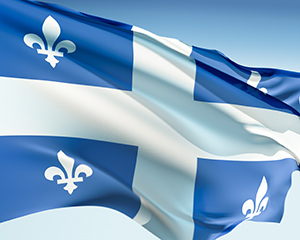 A modern society, Québec is known for its democratic political system and its public services. The province has a universal, free healthcare system, one of the best public education systems, and a host of social and community services. All these benefits and more become available to you once you become a permanent resident of Canada. Its diversified economy is based on natural resource development and keeps pace with information technologies and other cutting-edge sectors. Internationally recognized as a city with a North American lifestyle and a touch of European culture, Montreal is a vibrant, cosmopolitan city famous for its high standard of living. Strategically situated close to the US border on the majestic St. Lawrence River, Montreal has a dynamic diversified economy where businesses start and prosper. With the highest per capita income and the lowest taxes in Canada, Calgary is a prosperous city with a dynamic, go-getting core. 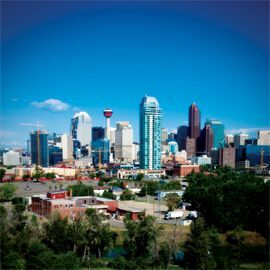 It is the largest city in the Province of Alberta and in the region of the country that has seen the fastest economic growth in recent years. It is one of the most important centres of the global oil industry. 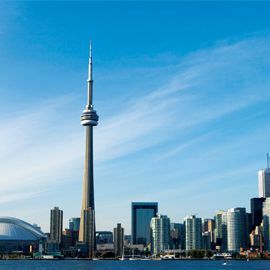 Located on the shore of Lake Ontario, Toronto is Canada’s largest city, and is at the forefront of the country’s economy. It is Canada’s trade and manufacturing capital. Its diverse, growing economy offers great business opportunities. Toronto is ranked as one of the best cities in the world in which to live. 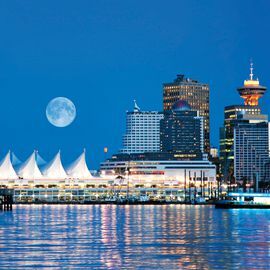 One of the most beautiful and pleasant city to live in, Vancouver is Canada’s access to the Pacific and the Asian markets. It boasts the largest port and transcontinental terminal in Canada. It is the economic centre of British Columbia and one of Canada’s major industrial centres. Calculations based on OECD’s Economic Outlook. No. 101, June 2017.